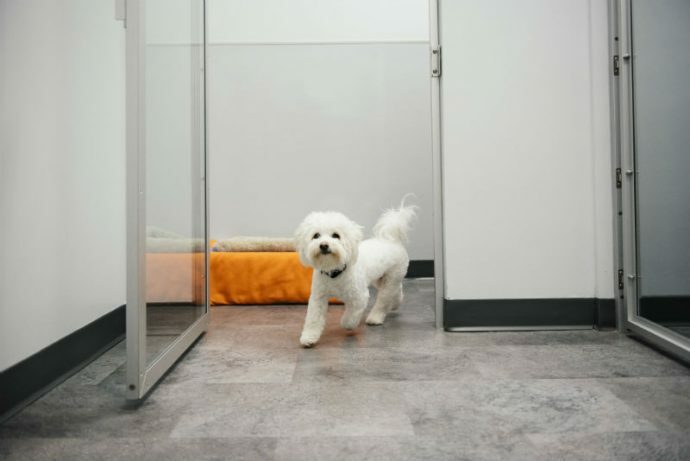 Dogtopia of Edmond can be your pup’s home away from home, whether you’re just looking to leave your dog overnight or for an extended period of time. Dogtopia of Edmond is not just a place for your pup to sleep. Our boarding dogs also get to enjoy 10 hours of fun-filled days of play and exercise with our daycare dogs. We do not have kennel runs; instead, our boarding dogs enjoy full use of our open-play, off-leash environment. After hours of play and socialization, they will rest soundly in a place they know and trust. When your pup turns in for the night, they will be well exercised and socialized. And best of all, they will have made new BFFF’s (Best Furry Friends Forever)! 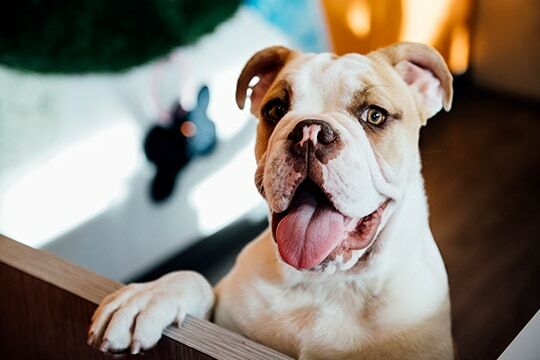 Dogtopia of Edmond‘s dog care professionals will take every step to ensure that your dog is happy, healthy and comfortable during their stay. We are dedicated to keeping your dog safe and happy. 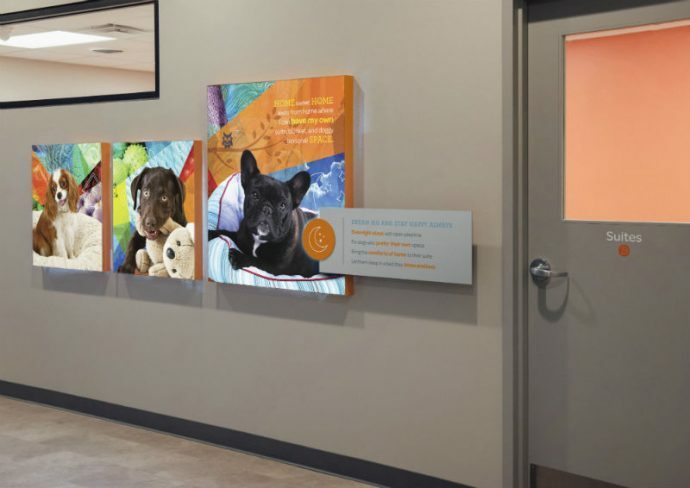 Before you book your dog’s boarding stay, please bring them to Dogtopia of Edmond so our caring team can conduct a personal meet and greet your dog and determine if they are the right fit for our open-play, off-leash environment. Contact us now to schedule your appointment. All dogs that stay with us must be up to date on vaccinations, passed our meet and greet evaluation, be free of fleas, ticks and any contagious diseases. Feel free to bring your dog’s bedding and/or small toy to make them feel at home while they sleep. However, bedding has to be small enough to fit in our standard size dryer since we run all bedding through the dryer on high heat to eliminate any risk of ticks or fleas coming into the facility. Bring their regular food (ideally in baggies pre-measured out) as maintaining their regular diet is important for their health and comfort. If you don’t wish to provide food we have house food we can give them for a nominal charge. 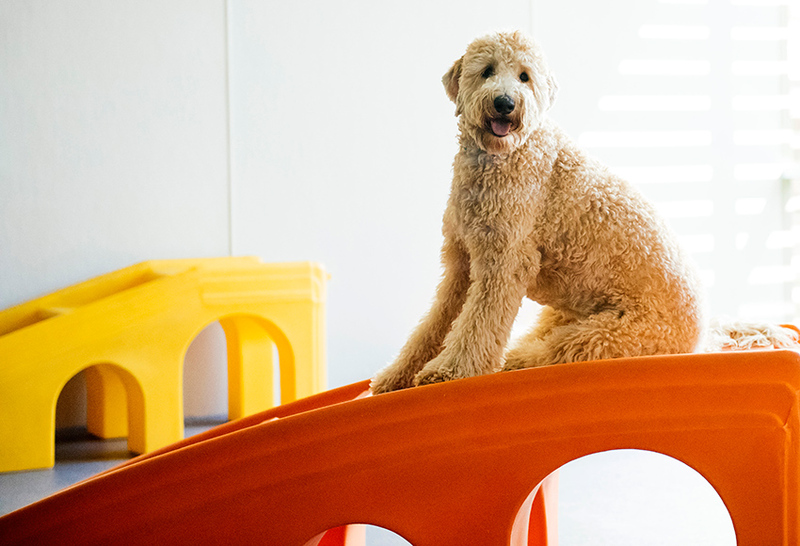 Dog boarding starts with a meet & greet so we can make sure that your dog is comfortable in open-play. Our home-style crates in-room is where they will eat, nap and sleep. The rest of the day they get to play with their furry friends. Home-style crates give them the comfort of their own space with their things. After a full day of play, they are ready for a long rest. What’s better than a sleepover with a few of their BFFF’s (Best Furry Friends Forever)? 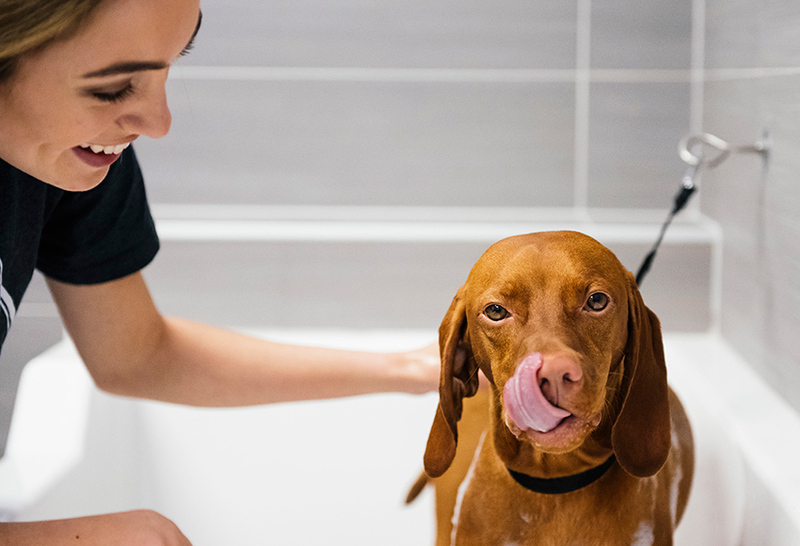 Whether it’s for one night or several nights we’ll make sure that your dog is lovingly cared for while they are boarding and that they are pampered and played with. 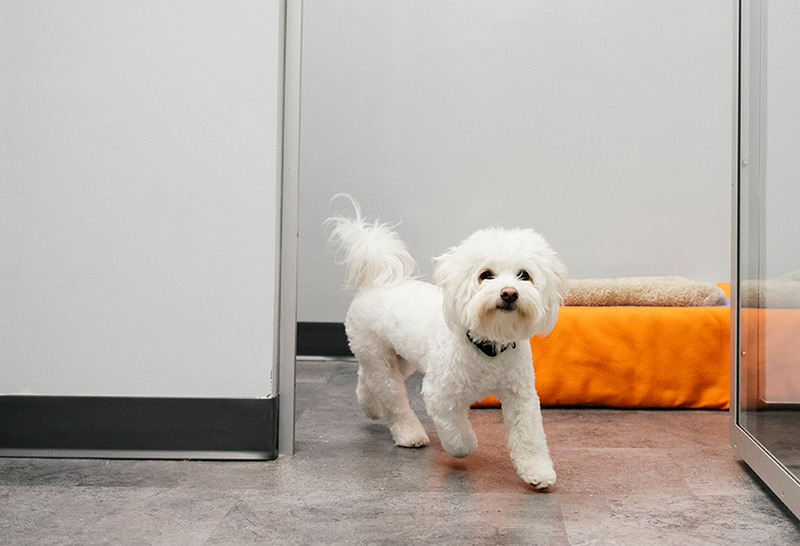 Checking up on them while they are boarding is a must so we have high-resolution Nest cameras in every playroom and outside so that you can see what your dog(s) are up to any time they are in open-play (7A-7P every day except 12N-2P when they nap). For health reasons, we do require that your dog has a quick bath if they stay more than 4 consecutive days. It just allows us to get off the oils from other dogs that your pup has brushed up against during their playtime. 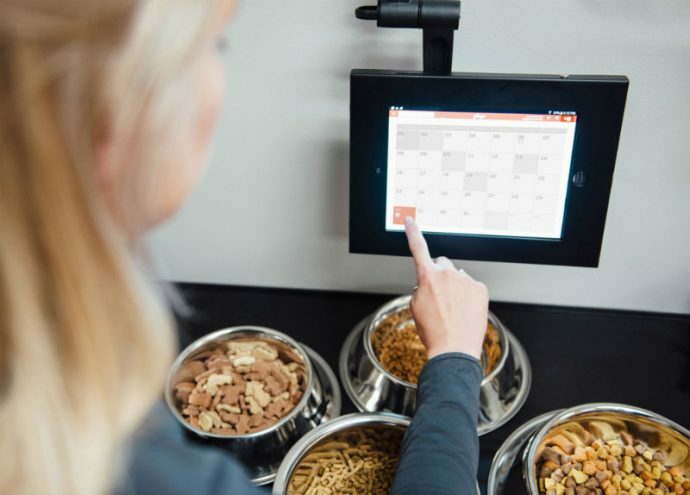 We also maintain meticulous records of whether your dog is eating their full meal each time they are fed. We also will alert you and work with you if we find that your pup isn’t eating. We can introduce other foods into their diet (e.g. broth, pumpkin, etc.) to help encourage regular eating. Suites are available if you have multiple dogs and want them to sleep together or you just want your pup to have a little more space. Discounts are also available for consecutive stays longer than 6 nights.